One of the first shots most people learn when they begin to play pickleball is the forehand groundstroke. If you ask players about this shot, they would probably say that they know how to do it and that may be true…to some extent for most of us! We all probably learned the basics about the best way to correctly execute the pickleball groundstroke, but do we all maintain our focus and correctly perform all phases of the stroke? The video below with Wes Gabrielsen demonstrates the groundstroke from both the right-hand and left-hand side. (Wes is a 5.0 player who switches hands for a groundstroke with either hand). Watch the video below and pay attention to the “hints” which are also detailed at the end of this post. Keep your eye on the ball through the stroke; especially at the point of contact – watch the ball hit the paddle. **The reason this is important is that the ball may move along an unanticipated path and if you are not watching it, you cannot adjust your swing and you may mishit the ball or perhaps miss it all together. Don’t be tempted to look up to see how well you hit the ball. Delay your gratification and keep your head down, eye on the ball and follow through. I understand this is easier said than done! Bend your knees and get the weight of your body behind the shot. Follow through towards the target. 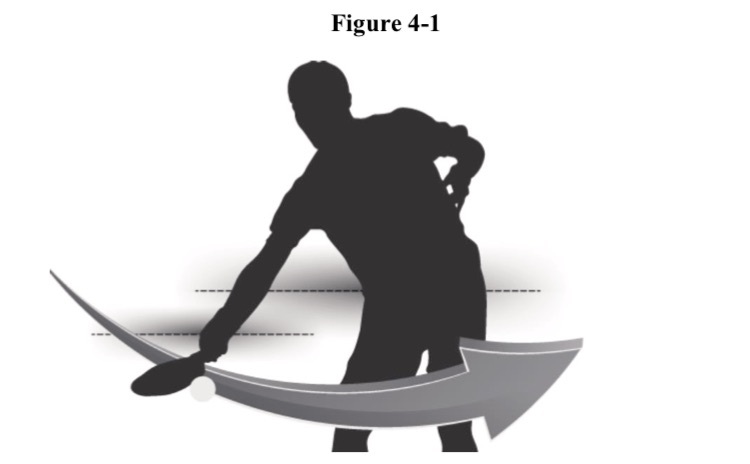 Coach Mo suggests that you “kiss” the shoulder of the paddle hand to assure the follow through.